Jeremy Allaire, the CEO of the Goldman Sachs-backed cryptocurrency startup, Circle, spoke in an interview with Reuters about the importance of global cryptocurrency industry regulations. Many industry experts and leaders believe that global regulation will be the next evolutionary step for the cryptocurrency markets. Allaire spoke about the level and quality of regulations that the industry needs in order to see continued growth. Last week, the news came out that HTC is developing an Android phone that will be powered by blockchain technology. The phone, named Exodus 1, has been designed to store the owner’s cryptocurrencies securely. The significance of integrating blockchain technology in the phone is that it bolsters the security and privacy of a user’s assets, and will in the future help with protecting the customer’s data and identity. The news many investors have been waiting for: cryptocurrency startup Bakkt has announced that it will bring its Bitcoin futures trading into operation on December 12, 2018, subject to regulatory approval. 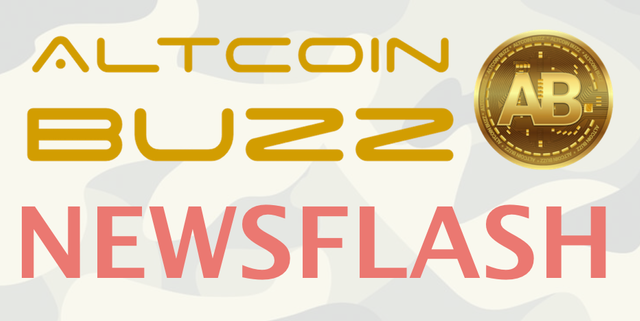 The news has been received with a lot excitement among the crypto community. Run by the Intercontinental Exchange (ICE), which also owns the New York Stock Exchange (NYSE), the Bakkt startup is backed by the likes of Microsoft and Starbucks. The much-publicized blockchain platform that has a decentralized application (DApp) ecosystem now reportedly has a total of 430,000 accounts as it keeps rising in popularity, despite having seen various governance issues. Not a lot of news this week, but the news that came out was exciting. Circle CEO, Jeremy Allaire, spoke about global cryptocurrency industry regulations during a recent interview in London. According to Allaire, regulations are needed to grow the market. While industry regulations might be needed to further grow the crypto space, another catalyst for growth is around the corner. The Intercontinental Exchange (ICE), will list and enable trading of the new Bakkt Bitcoin (USD) Daily Futures Contract on December 12, 2018. Last year, similar news initiated the rally that eventually let Bitcoin hit a new all-time high of $19,783. Is a new bull run about the happen? The year 2018 is currently seen as a year where a lot of development has been done to support the mass adoption of cryptocurrency in the future. A lot of building blocks have been created to support the rise of crypto. This week, HTC announced one of those building blocks: the Exodus 1. The Exodus 1 is a blockchain-focused smartphone. The Taiwanese phone maker developed its own cryptocurrency wallet called Zion to make its new phone function as a hardware cryptocurrency wallet. Exciting! Last but not least, EOS investors had a reason for a small celebration: the EOS network has recently seen its amount of unique daily users surge by 500%, helping it reach a 60,000 unique daily user milestone. HUGE! Originally published at altcoinbuzz.io on OCTOBER 29, 2018.